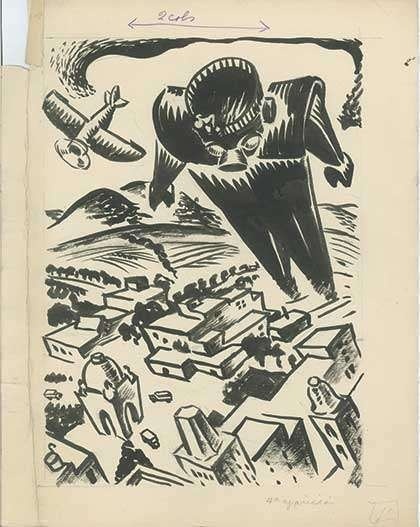 TROKA: Mexico’s IRON GIANT fights Religious Superstition! MEXICO, 1930. 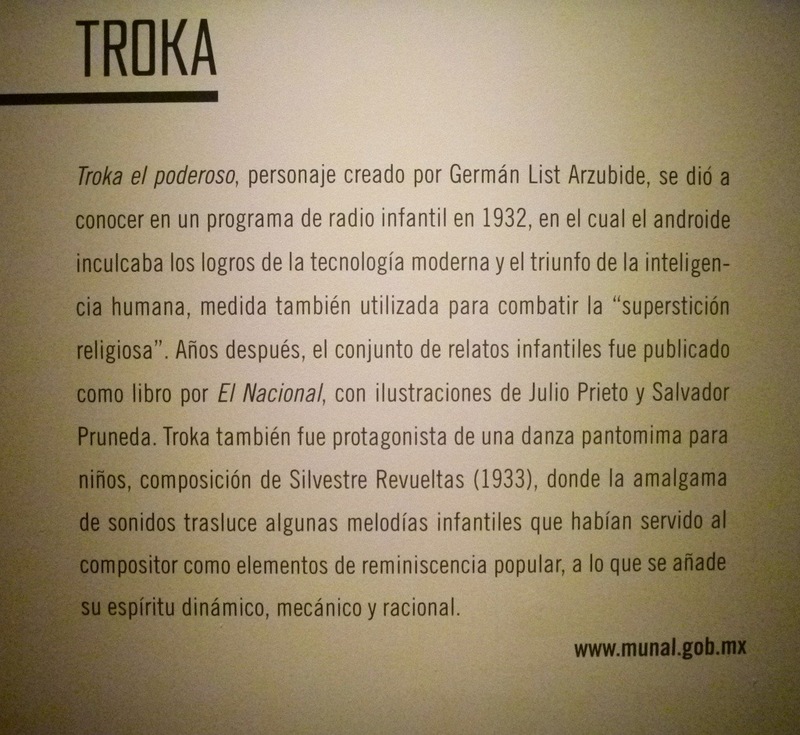 Before Iron Man, before Iron Giant, Mexico had TROKA. 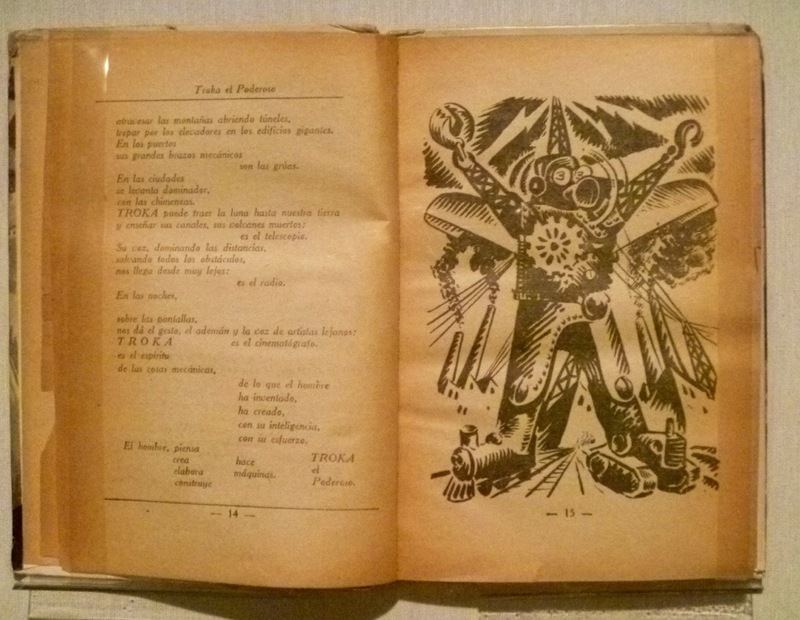 These illustrations come from the Vanguardia en Mexico exhibition at MUNAL, Museo Nacional de Arte, Mexico City. 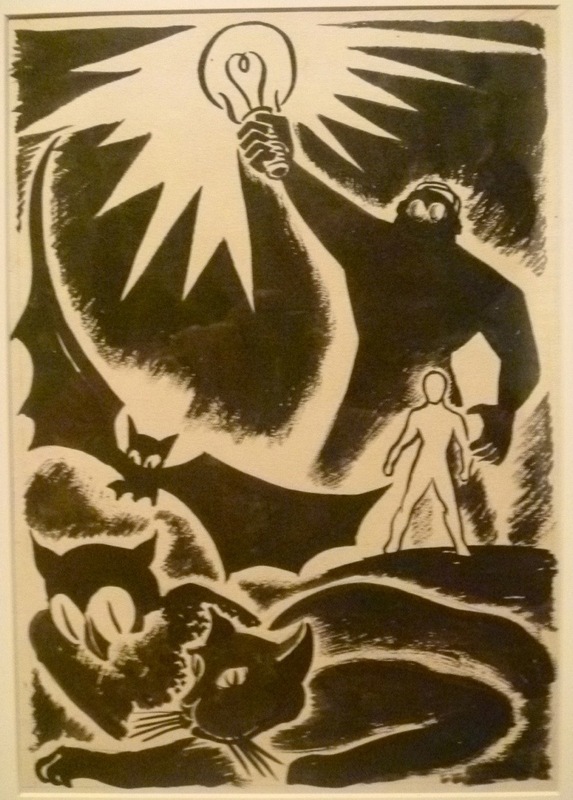 The original illustrations were done in india ink by Julio Prieto in 1934. The quality of Prieto’s brushwork is evident in mural-sized reproductions of his artwork in the exhibition space. Visitors can don headphones to listen to the original TROKA radio dramas aimed at children. The listening station is stylishly designed with wood and brass fittings to evoke the 30’s. Museum-goers seem transported by the experience. According to the wall notes TROKA was the creation of author German List Arzubide. 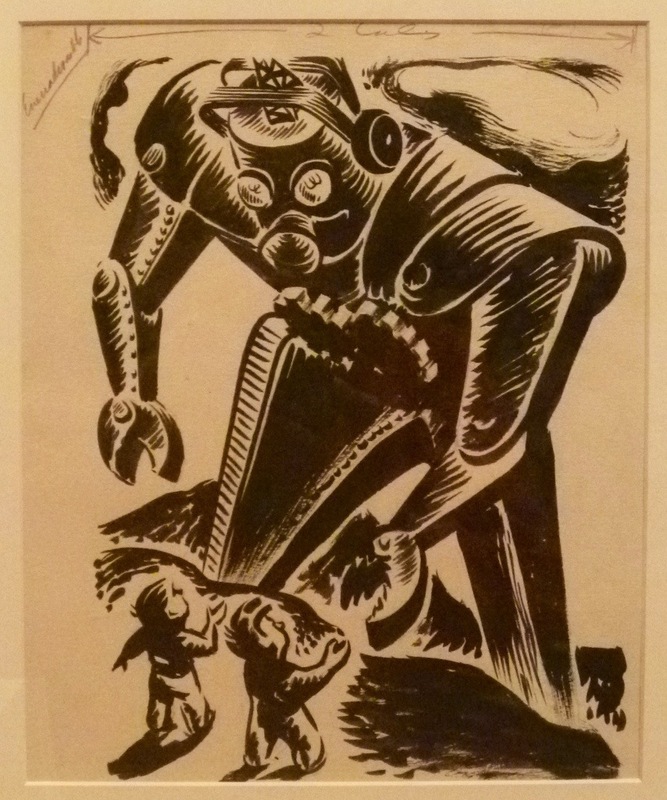 The giant android possessed the logic and intellegence to combat ‘religious superstition.’ …In 1939, a TROKA pantomime dance was created in which popular nursery rhymes and children’s folksongs were rewritten with rational messages. I’m paraphrasing, Spanish speakers can read the full details below. In the 1930’s Mexico was deeply divided over the issue of religion. One little-known event that bogles the mind occured in Guanajuato. A Mexican Air Force pilot bombed the statue of Christ atop a mountain there. Some said it was pilot error. The faithful of Guanajuato built a much bigger statue which remains a pilgrimage site to this day. 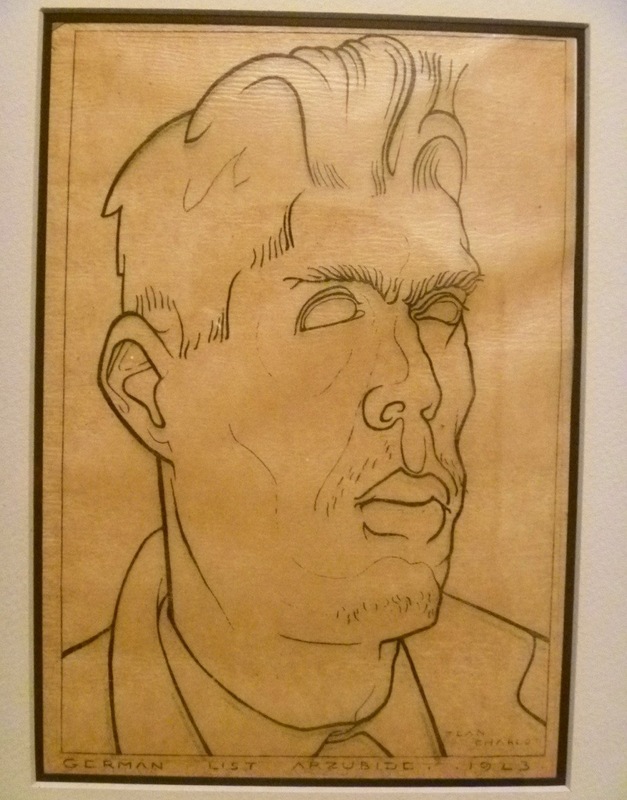 Portrait of German List Arzubide by Jean Charlot, 1923. List was a true revolutionary, he rode and fought alongside Emiliano Zapata in the Mexican Revolution. He died in Mexico City in 1998 at the age of 100. The exhibition continues at MUNAL until August 4. Viva TROKA!